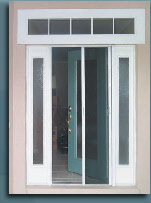 Retractable screen door and window products are not a new concept, the original patent was in 1914. It is a concept that has recently experienced renewed interest due to innovative product improvements and the superior advantages it offers compared to traditional screening products. 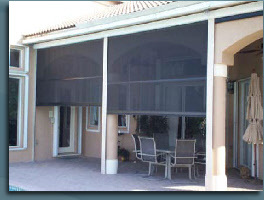 There are about 15 companies that currently manufacture retractable screen products. The market is still in its infancy with a growth rate approaching 25% per year and will continue to increase as homeowners discover the superior advantages of retractable screen products. Dreamscreens has taken the original concept of retractable screen products and elevated the performance and durability to new standards. Our patented designs have made the product more reliable and easier to install compared to competitive products. Our mission is to provide a product that is technically superior to the competition while offering unsurpassed value, service and support to our customers. To fulfill our mission, we need qualified business partners to help us develop the full potential of the market and share in our success. entrepreneurs that want to become a part of our continued growth and success. We are looking for business partners that share our passion, vision and dedication to providing superior products and service to our customers. A company is known by the company it keeps… For this reason, we are very selective as to who joins our team. We hope you will consider the possibilities and explore the future as a member of the Dreamscreens Team. When people are introduced to the features and benefits of a Dreamscreen…It Sells. Whenever the Dreamscreen is compared to a competitive product it wins because of superior features, installation ease, quality construction, and exceptional value. It is easy to understand why Dreamscreens is quickly becoming a recognized leader of screened window and door products. Our dealers make more money because of generous product margins and increased profits resulting from faster installation times. Time is money…Why waste your time with inferior retractable screen products that have high “call back” ratios. Dreamscreens has it all! Because success breeds success… A business opportunity designed for your success. At Dreamscreens, we recognize the importance of developing successful business relationships. That is why Dreamscreens offers distinct Dealer Programs designed to compliment your existing business resources and the customers you serve. We are looking for dedicated business partners to share our vision of becoming the industry-leading supplier of retractable screening solutions that provide unsurpassed value, quality and customer satisfaction. Our success depends on the success of our dealers and we are committed to providing unparalleled support to the people that represent our products to guarantee a mutually profitable relationship.